I had a Living Social coupon that was about to expire to the Aviator Brewing Company so Brad and I made the 1/2-hour or so trek to Fuquay Varina last weekend to check out the place. The coupon included a tour of the brewery, two Aviator pint glasses, some stickers and a growler of Aviator’s HotRod Red. I am so glad I bought this coupon – I learned quite a bit from the tour and the beer I tried was great! I also like that we were supporting a local business. 2008: Started with two used dairy tanks, which held 300 gallons of beer. Added two used 30bbl fermentors as demand increased. 2009: Began distribution into the Triangle area. 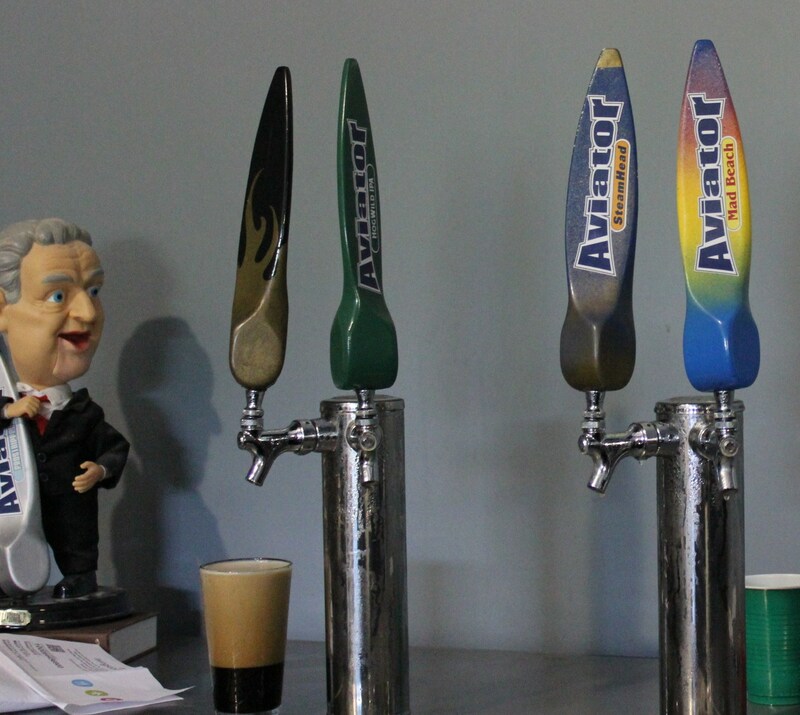 2010: Moved from the airplane hangar at Triple W airport to its current location, as demand for Aviator beer grew faster than it could brew. 2011: Added an 8-head Cimec 22 oz. bottling system to put some of its beer on store shelves. 2012: Canning system to be installed in the late summer/early fall. 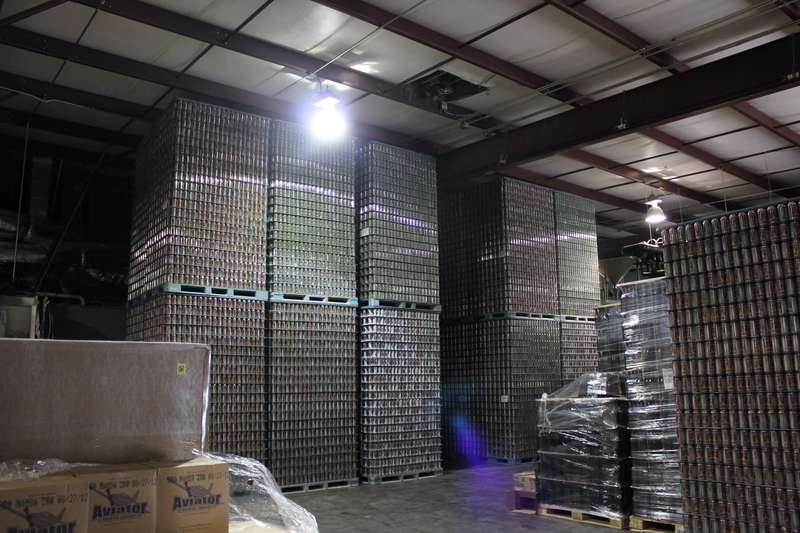 Cans should be on store shelves soon! We had about 25 minutes before our tour was going to start, so Brad ordered a pint of the Hog Wild Indian Pale Ale (6.7% alcohol.) 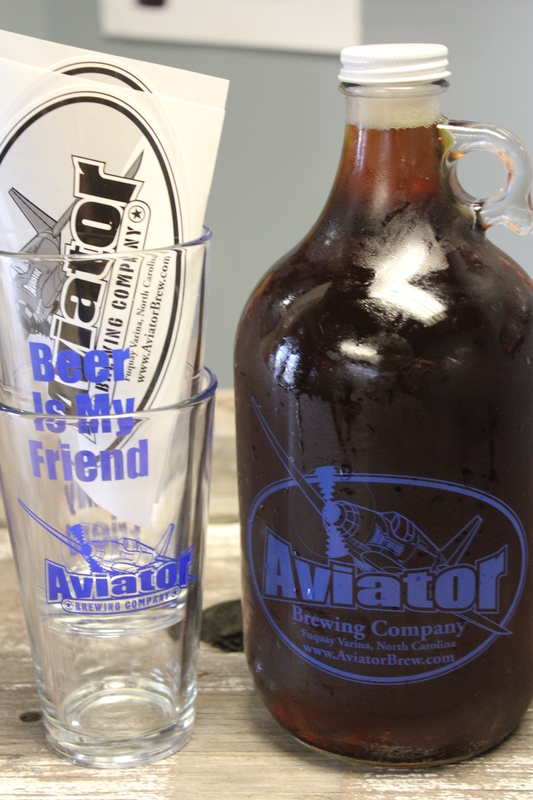 Aviator’s website describes this beer as “a golden brew made with Pale Ale and Vienna malts. A veritable fest of the big “C” hops: Chinook, Columbus, Cascade. Dry hopped with Magnum, Williamette and Amarillo. A very hoppy and refreshing ale.” Brad really liked this beer and agreed that it was quite hoppy. I enjoyed the seasonal OktoberBeast (7.2% alcohol.) 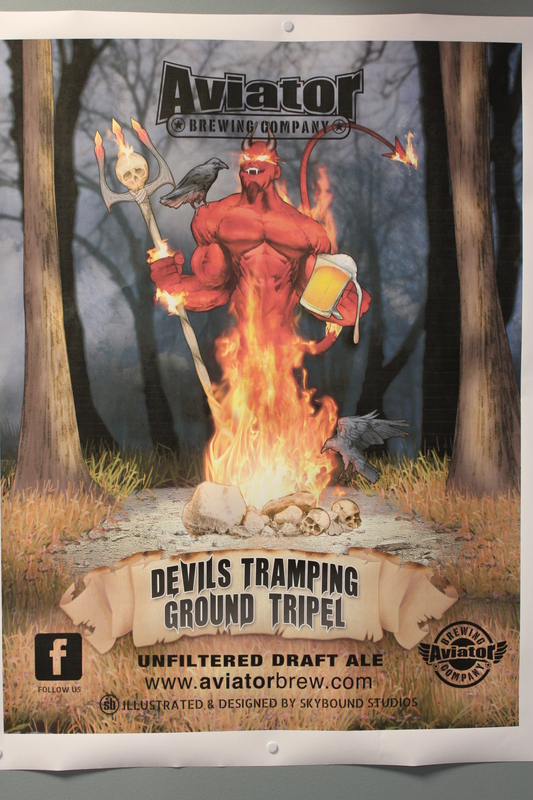 This beer’s normally brewed in March and aged cold over the summer so it can be served in the fall. It is hoppier than most Oktoberfest beers since the brew masters like hops. So do I, and found this beer to be tasty – I would definitely order it again. The tour was informative and interesting – it was fun to learn about the ingredients, the brewing process and what each of the machines did. 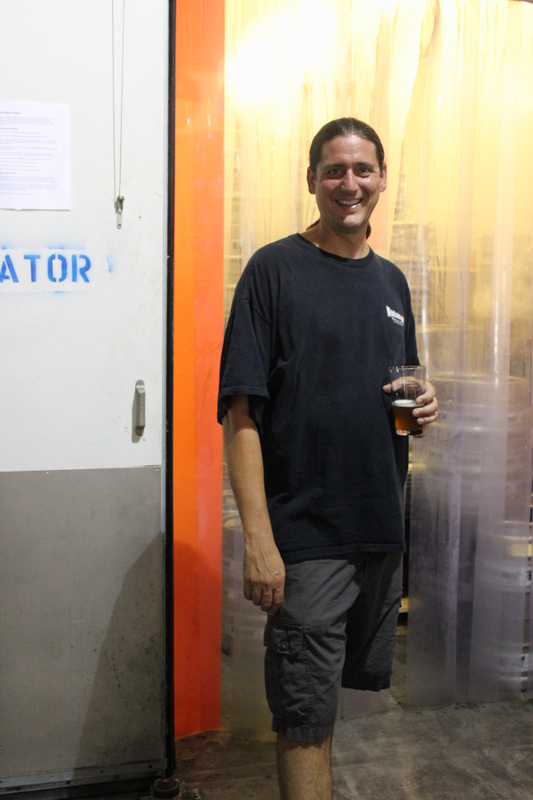 Our tour guide, Chris, was laid back, friendly and quite knowledgeable – you can tell he loves his work! As previously mentioned, Aviator is going to start canning its beer and there were 385,000 newly delivered cans throughout the brewery. The canning machine should arrive anytime now, and production will begin! 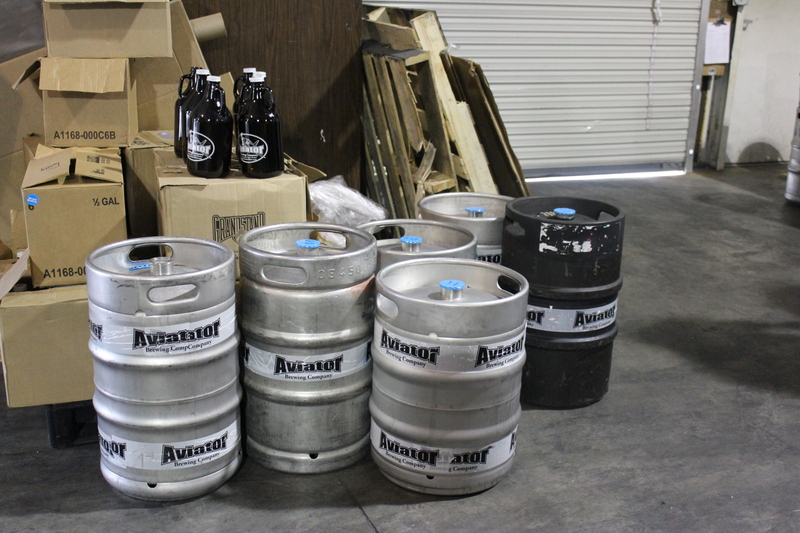 After the tour, we received our growler full of HotRod Red, which basically is a classic Irish Red Ale. I didn’t try it, but Brad was fond of it. We also purchased a 22 oz. bottle of BlackMamba Oatmeal Stout (6.5% alcohol.) 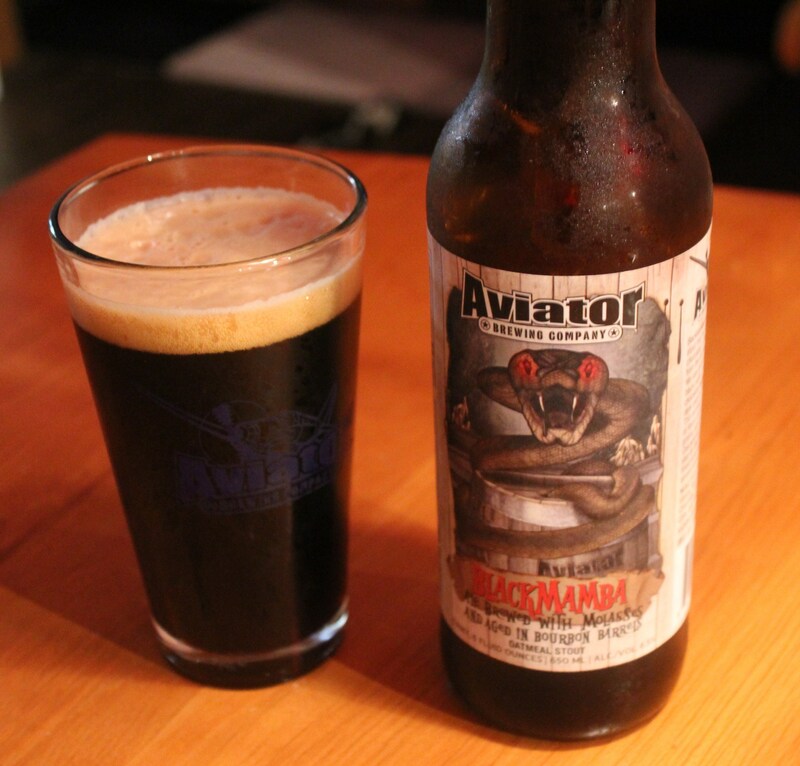 Aviator’s website describes this stout as having has an explosion of flavor created by dark roasted grains and a 2-row barley, with tastes of chocolate and smoothness from the oatmeal. 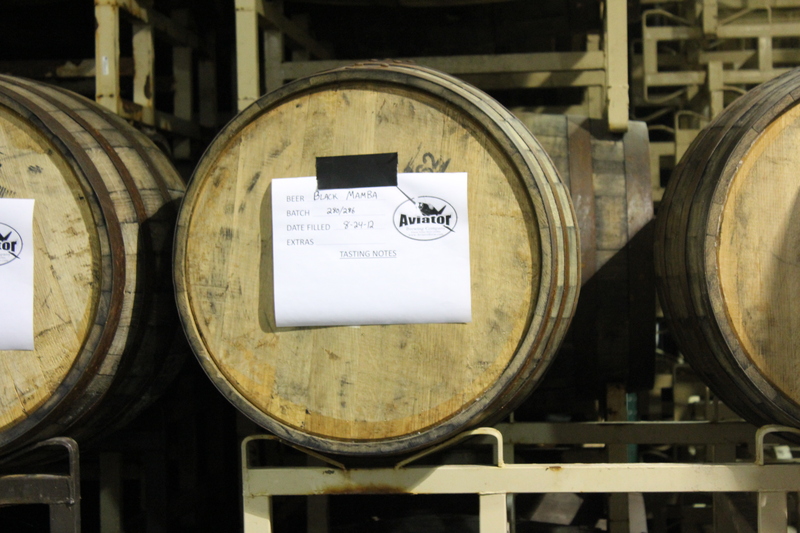 This beer is aged in bourbon barrels. I am a big fan of stouts, and BlackMamba did not disappoint! In addition to the chocolate flavors, the bourbon taste from the barrel is quite apparent. I love this beer and will look for it in local stores. 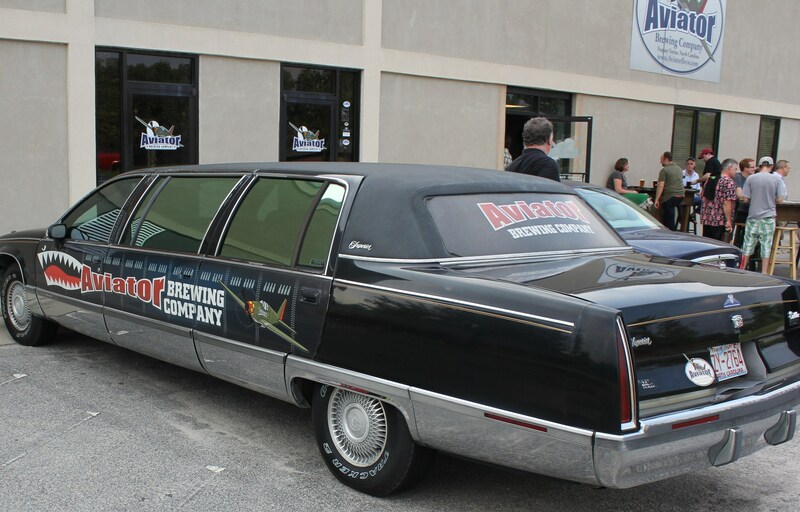 Right down the road from the Brewery is the Aviator Smokehouse and the Aviator Tap House, where you can enjoy various smoked meats and Aviator beer, of course. I have heard from several people that the food at the Smokehouse is awesome, and since I already can vouch for some of the beer, I think another road trip to Fuquay is in order! I have a feeling that Aviator is going to continue to increase its production and that the canned beer is going to fly off the shelves. 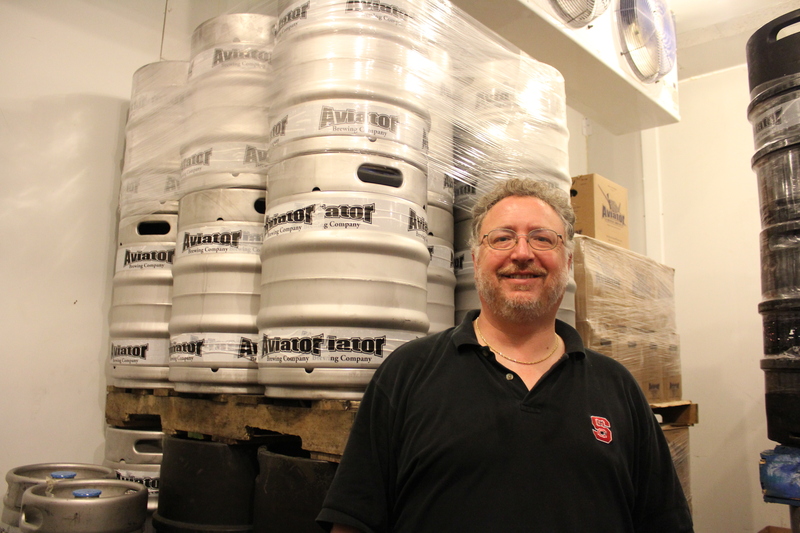 If you have time, go check out this brewery, sample some of the beer and take a tour. I’ll be glad to tag along, and will buy the first round! « Don’t Miss Scene on 17!